Amitabh Bachchan, who has a regular blog and millions of followers on Twitter, on Tuesday joined social networking site Facebook to reach out further to his fans. The 69-year-old launched his facebook page, which will provide information about the actor’s upcoming movies, show videos, as well as exclusive pictures from his private collection.Facebook needs no introduction and I feel that my official Facebook fan page was long overdue. Facebook is a powerful tool that helps bring people together and allows us to embrace being a part of a larger community. I have been encouraged by the overwhelming reception to my tumblr blog, and this is another avenue to reach out to my fans, not only in India, but globally. Bachchan said while launching his Facebook page. 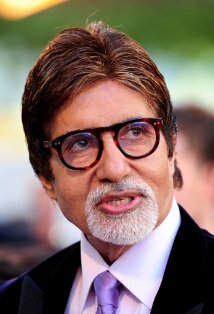 In a video posted on the page, Bachchan said it was another attempt from his side to come closer to his fans. I am now on Facebook…. Year after year, month after month, day after day, we just keep coming closer to each other. Lovely to have you here and we shall be seeing each other and you will be getting to know more about me and my daily activities through this wonderful medium.